PALMDALE – The Palmdale City Library continues its Mid-Week Movies program with a showing of the movie Big Hero 6. The movie will start at 5:30 p.m. Wednesday, May 16, at the Library, located at 700 East Palmdale Boulevard. Admission and popcorn are free. 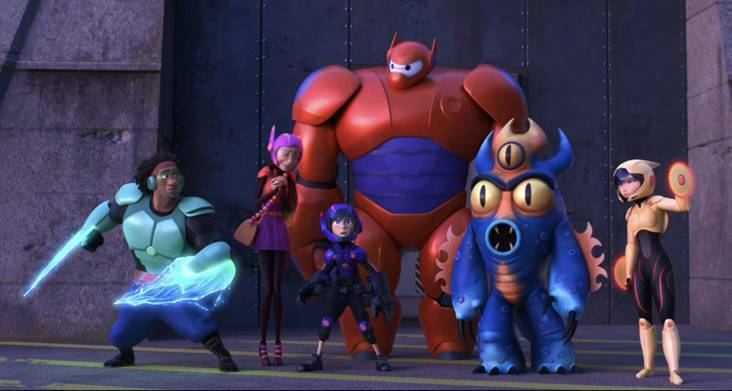 In Big Hero 6, (2014) rated PG, robotics prodigy Hiro Hamada learns to harness his genius, thanks to his brilliant brother Tadashi and their like-minded friends: adrenaline junkie Go Go Tamago, neat-nik Wasabi, chemistry whiz Honey Lemon, and fanboy Fred. When a devastating turn of events catapults them into the midst of a dangerous plot unfolding in the streets of San Fransokyo, Hiro turns to his closest companion–a robot named Baymax–and transforms the group into a band of high-tech heroes determined to solve the mystery. The Library hosts a free showing of featured films every Wednesday evening. Upcoming movies scheduled to be shown include Guardians of the Galaxy (2014) rated PG-13 on May 23; The Incredibles (2004) rated PG on May 30; Ferris Bueller’s Day Off (1986) rated PG-13 on June 6; THOR: Ragnarok (2017) rated PG-13 on June 13; Eat Pray Love (2010) rated PG-13 on June 20; and Cool Runnings (1993) rated PG on June 27. This program is made possible through the generous support of the Friends of the Palmdale City Library.